MCCALL, Idaho – An orphaned black bear cub that suffered second-degree burns on its paws during an August fire in eastern Idaho has been returned to the wild, healthy and 70 pounds heavier. Officials with the Snowdon Wildlife Sanctuary in McCall say the bear, dubbed “Boo Boo,” was released into the forests of central Idaho on Wednesday. Firefighters rescued the then-25-pound cub from a tree during the Mustang Fire near Salmon. 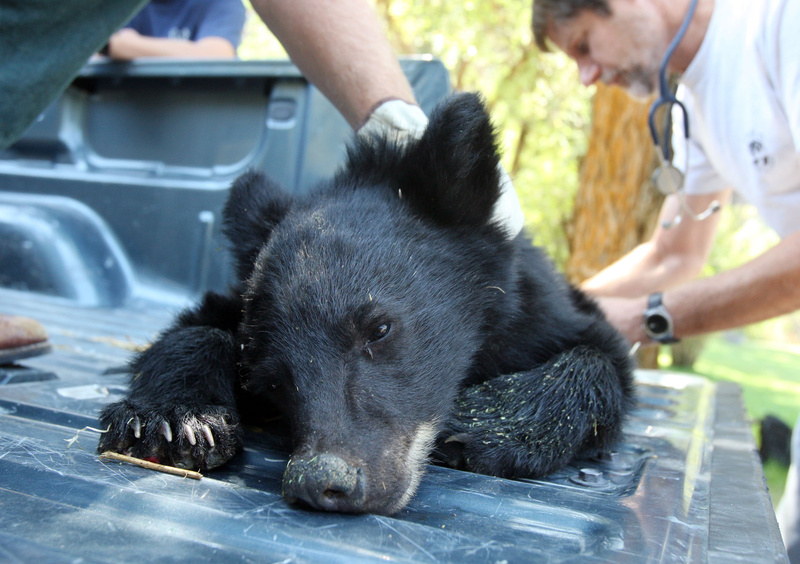 The bear was initially treated at the Idaho Humane Society before being transferred to Snowdon. Boo Boo was among 10 orphaned cubs being cared for at Snowdon. Boo Boo was released with a GPS collar that will record his location until sometime next year, when it will fall off.